One of the great benefits of working at the TU Incubator is getting to work with a wonderful group of entrepreneurs with big ideas and the desire to make a real impact. This is especially true for our education technology members. Tara Gallant, Founder of Mandrel, is a great example. 1. Why did you decide to become an entrepreneur? Being an entrepreneur is in my DNA. No matter what company I have worked for I always looked for opportunities to serve customers better by understanding their wants and needs and then delivering beyond expectations. It wasn’t until my personal experiences as a student collided with helping other students succeed did I decided to take the risk of being an entrepreneur. I would say my vision prompted me to become an entrepreneur. 2. Tell me about your product? For millions of people looking to obtain a college degree going full-time is just not an option. Statistically, since 1974 nearly 40% of college students attend classes on a part-time basis. However, as an industry most services have been focused on the full-time students, until now. At Mandrel, we focus on the part-time student and what will help them succeed. We have developed technology that brings together all the physical & digital course materials of the school in a single digital delivery platform so that part-time students can access their course materials anytime, anywhere. Our platform, MandrelWorks, is built on simple principles; no extra work for the professor; no extra work for the student; everything students need before class starts and an easy to use technology. MandrelWorks combines school resources like library content with custom digital content and soon we are adding open education resources all found, organized and ready to read in one platform. Part of our commitment to students is to organize course materials for each class they take so that they can register for class and be ready to go. For the professor, we provide an easy way to deliver their course materials in an organized manner without having to learn a new technology. The professor is free to focus on teaching. 3. What do you see as your big challenges going forward? Some of our challenges as we gain momentum is convincing academia that the process of preparing their students can be really easy. 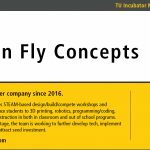 Sometimes legacy processes can stand in the way of innovation which is why we look to partner with schools that want to break the traditional cycle. Our first partner, Johns Hopkins Carey Business School, is a good example of an innovative school. They understand the value of innovation and leveraging tools to help students be successful. We look for schools that place high value on student success. 4. What excites you the most about what you do? I am the only person in my family to earn a college degree. Throughout my entire college career I was a non-traditional, part-time student. I understand the pressures, challenges and commitment it takes to make it graduation. The best part of what I am doing is helping other students along their journey by taking some of the stress out of preparing for class so they can focus on learning and achieving their dream. The best feeling is to hear from students using our platform say “this makes life much easier”. That’s how I know we are making an impact. 5. How has becoming a TU Incubator member company helped your business? When you start out, the excitement of fulfilling the company’s mission and vision is awesome. And then along the road the hard questions come up and that’s when I learned the best way to navigate those hard questions is to have good mentors and access to experts in various disciplines. That’s where the incubator provides the biggest benefit for me. Between strategy discussions, access to advisors, to introductions to potential customers, the staff at the incubator have your best interest at heart. Bonus Question — What are you ambitions for Mandrel? 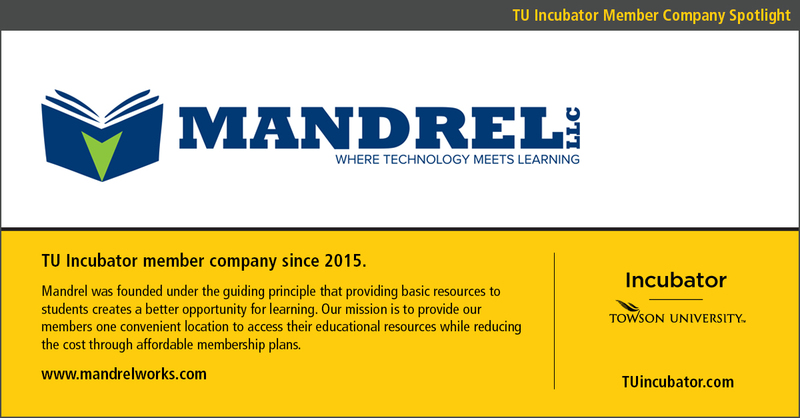 Ten years from now, I want Mandrel to be synonymous with student success. If we can help schools leverage technology in a way that enables their students to reach their dreams, then we will be living our mission and that’s where I want Mandrel to be. David Cross is the assistant director of entrepreneurship. With over 30 years of experience in economic development, technology transfer, commercialization, and entrepreneurship, he manages the daily operations and programming of the TU Incubator. 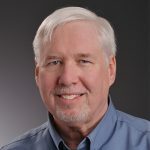 David's posts focus on TU Incubator and its member companies.